Sage X Condos is a new condos development located in Waterloo. Located at 257 HEMLOCK STREET,Developed by IN8 Development. 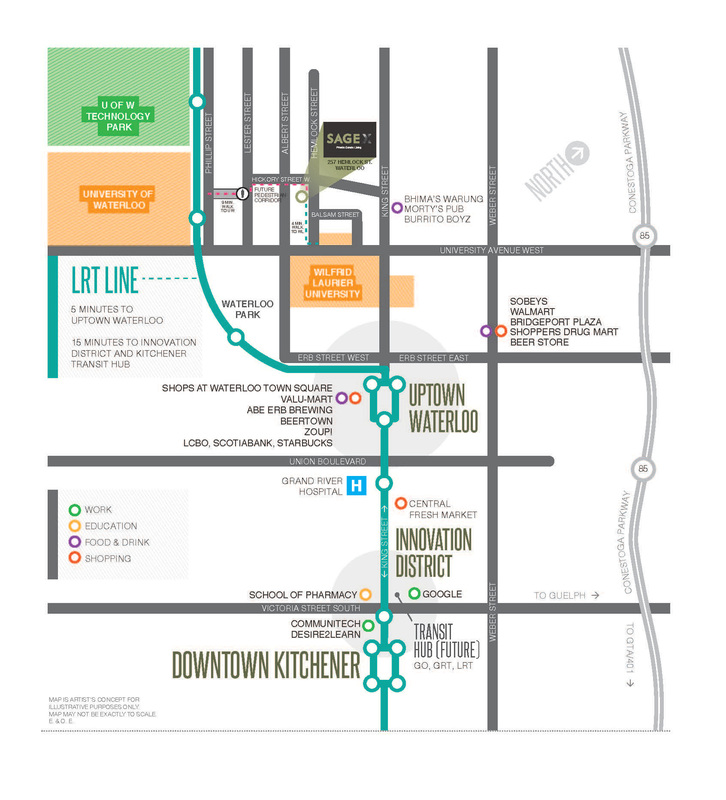 Sage X Condos will be the future epicenter for kw’s tech sector and the gateway to the region’s growing midtown district.Price From $299,990. Sage X Condos have 6 stories and 137 Units. It will be Occupancy in September 2019. What The Sage X Condos Free Property Management Included? What You Means By FREE FURNITURE PACKAGE?